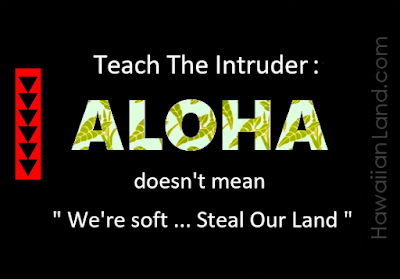 Native Hawaiians received an apology from the USA for overthrow of the Kingdom (US Public Law 103-150). But without compensation for illegally seized lands & property, Native Hawaiian inheritance is hugely and wrongly diminished. 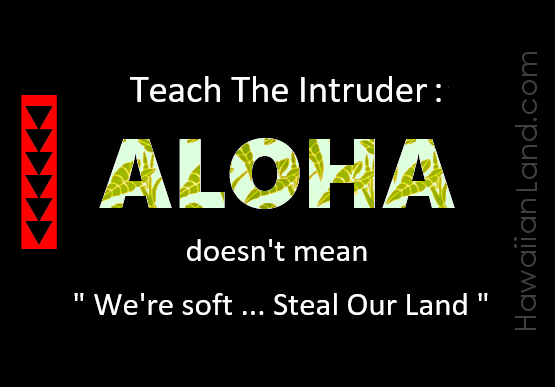 Chief beneficiary of this aggressive crime is the US Federal Government, who occupy far too much of the 1,800,000 acres of crown, government & public lands of the Kingdom of Hawaii taken without the consent of or compensation to the Native Hawaiian people or their sovereign government. 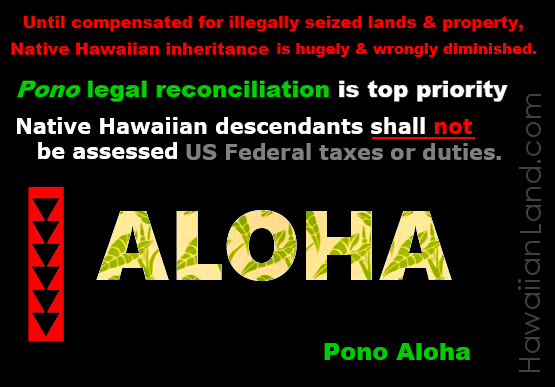 Until legal reconciliation is achieved, Native Hawaiian descendants should not be liable for US Federal taxes or duties.